Click a region on the national map below to access more detailed RFC data. 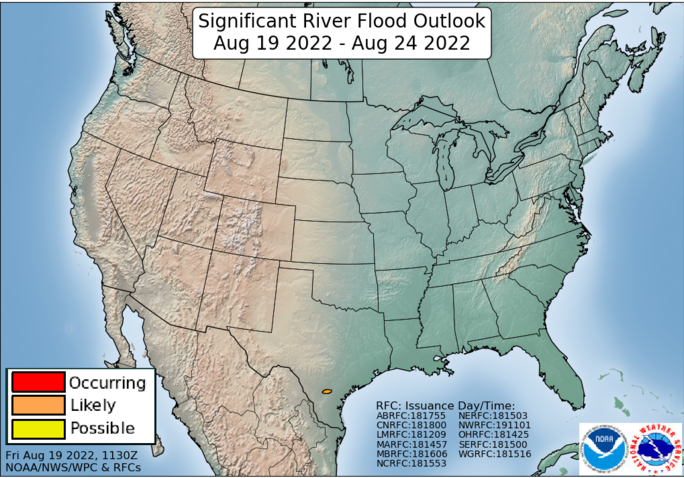 Occurring or Imminent - Significant flooding is already occurring or is forecast to occur during the outlook period. 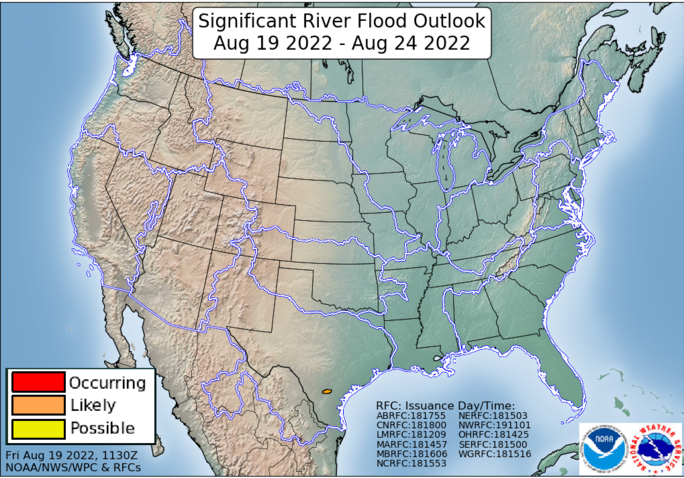 Likely - Weather conditions indicate that significant flooding can be expected during the outlook period. Possible - Weather conditions indicate that significant flooding could occur. Such flooding is neither certain nor imminent. 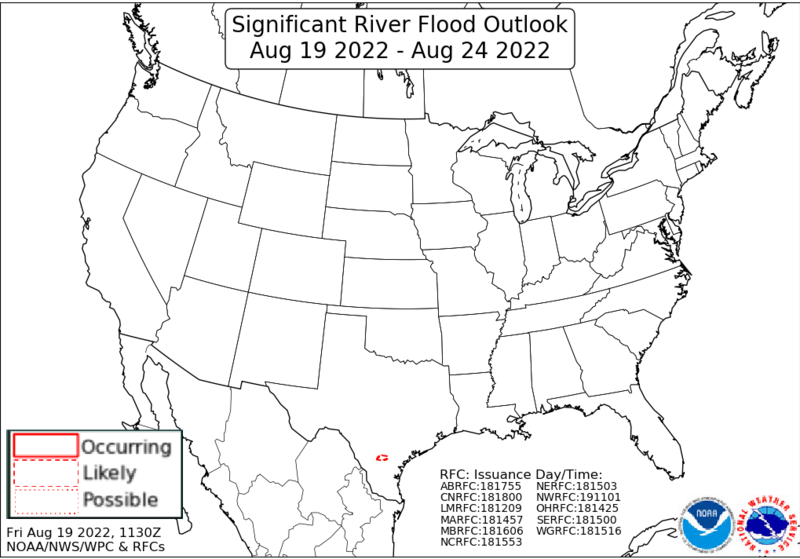 Notice: This Flood Outlook is intended to provide a general outlook for significant river flooding. It is not intended to depict all areas of minor flooding or small-scale events such as localized flooding and/or flash flooding. 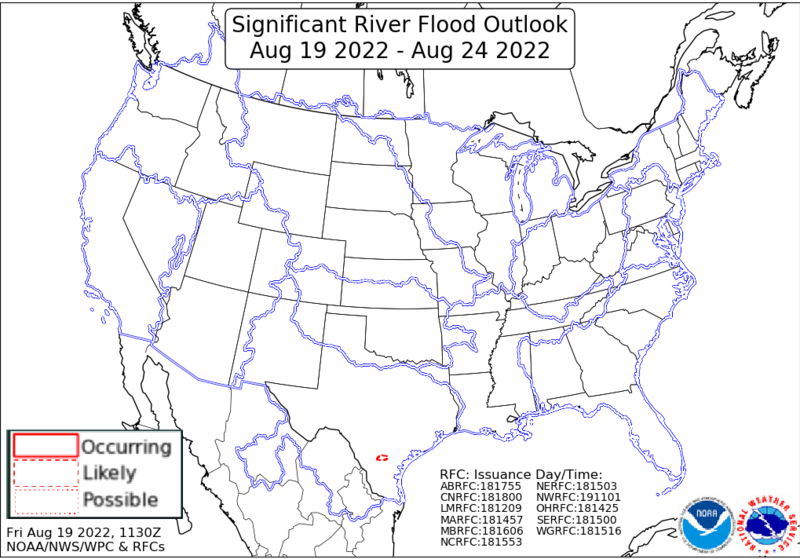 Please click on the map above or the River Forecast Center (RFC) area to refer to the detailed products issued by local NWS offices for official river forecasts and warnings.